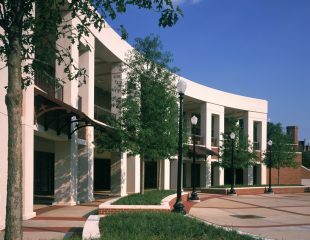 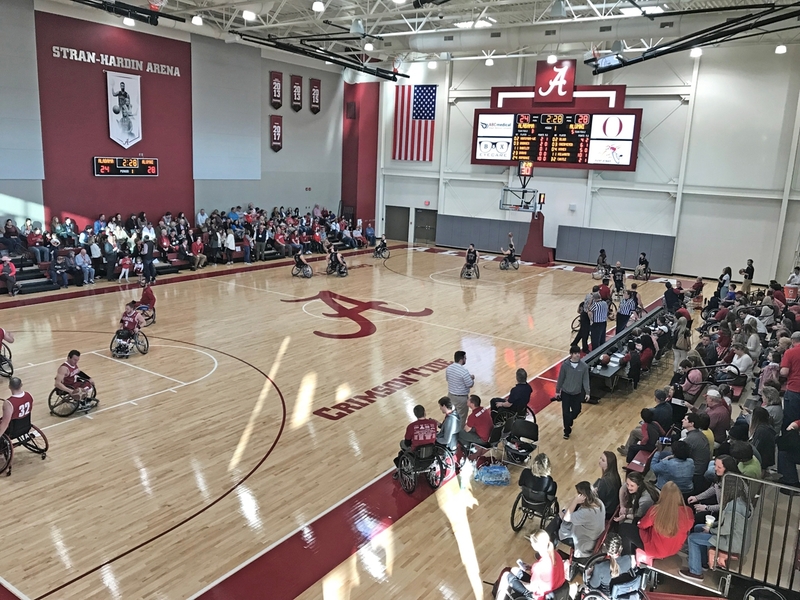 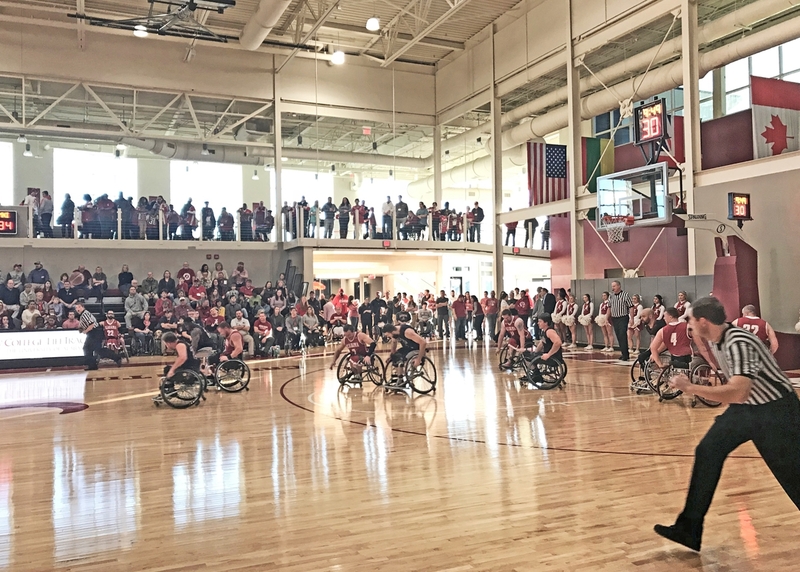 The 27,000sf Stran-Hardin Arena is the new home for the national championship Adapted Athletics program on the University of Alabama campus. 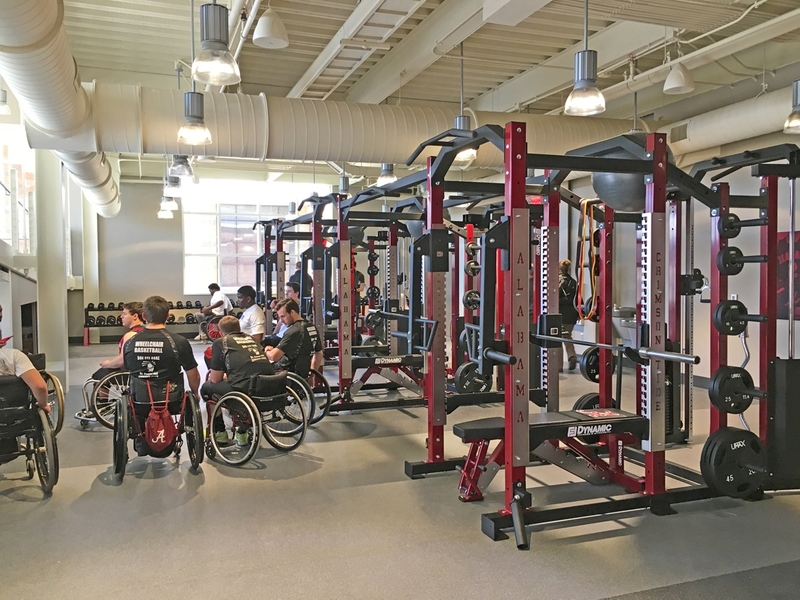 The first new collegiate arena in the country designed for sports and athletics for persons with disabilities, it features an NCAA regulation-sized basketball court with seating for 500 in an 11,500sf gymnasium, coaches’ offices, a multi-media team meeting room, lockers, weight/workout room, and ancillary support spaces. 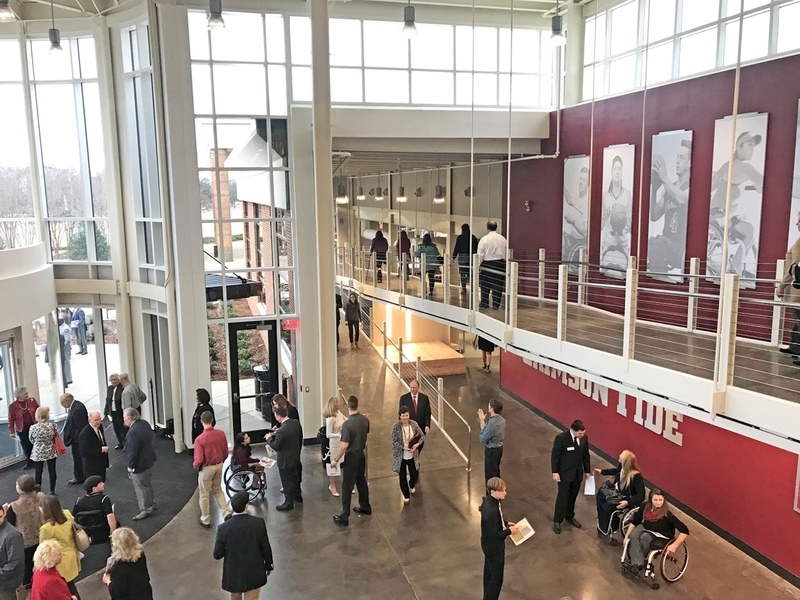 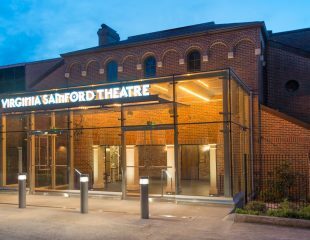 Central to the project is a spacious 2-story entrance lobby with prominent graphics that celebrate the teams’ achievements and acknowledge donors. 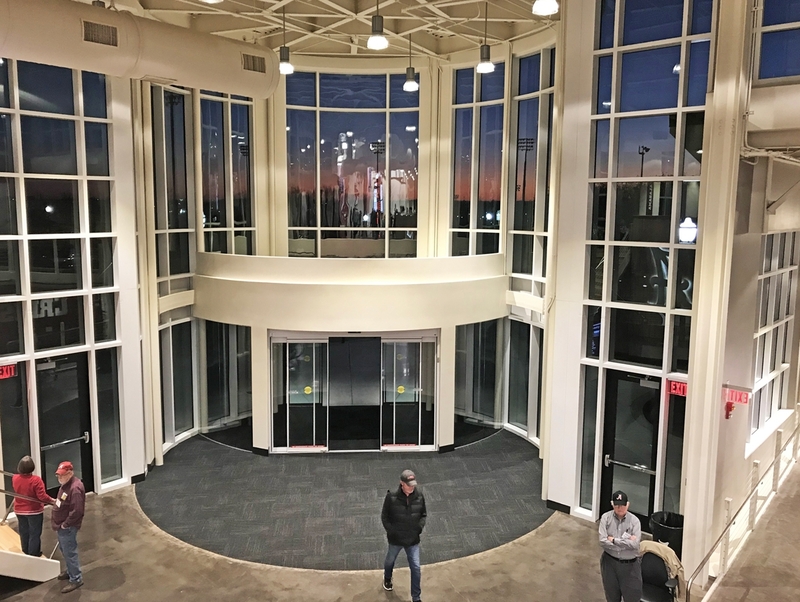 A second floor viewing platform is accessible by stairs as well as a dramatic suspended ramp. 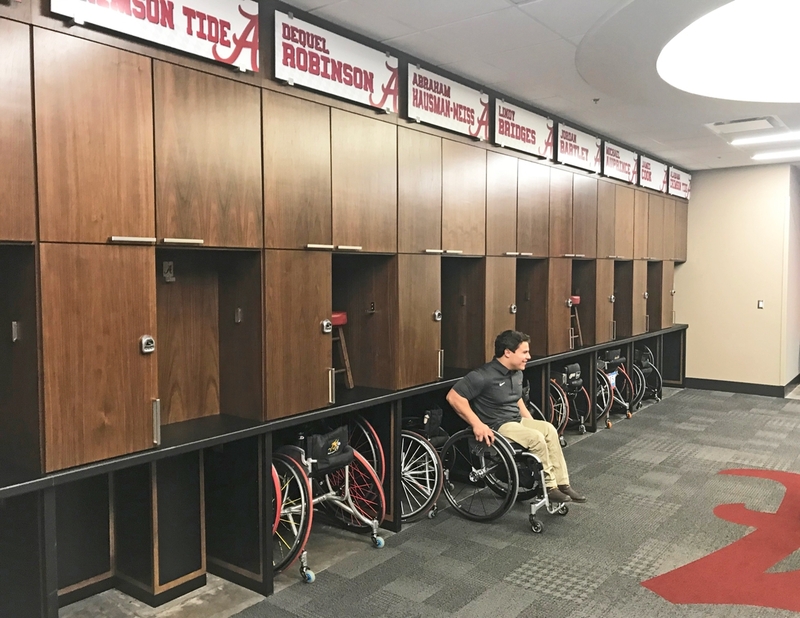 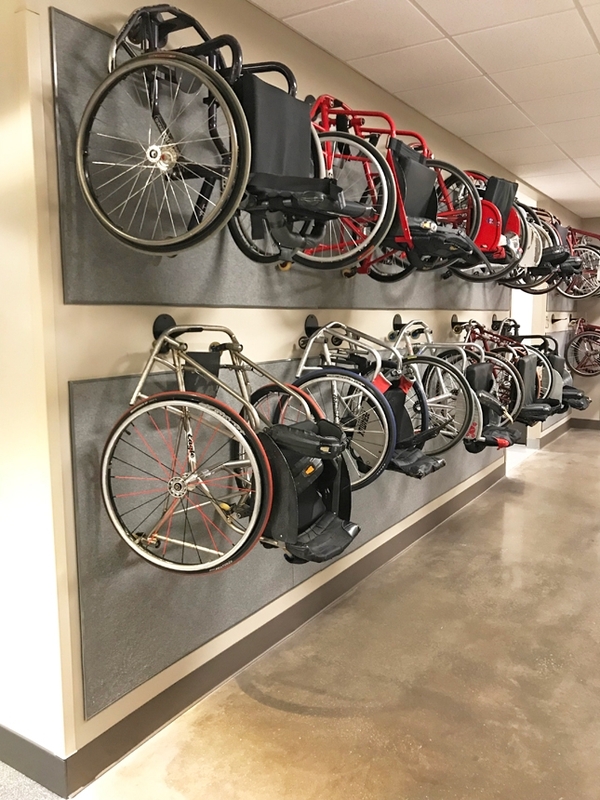 Home and visitors’ locker rooms designed to accommodate athletes in camber wheelchairs have direct-access, roll-in showers. 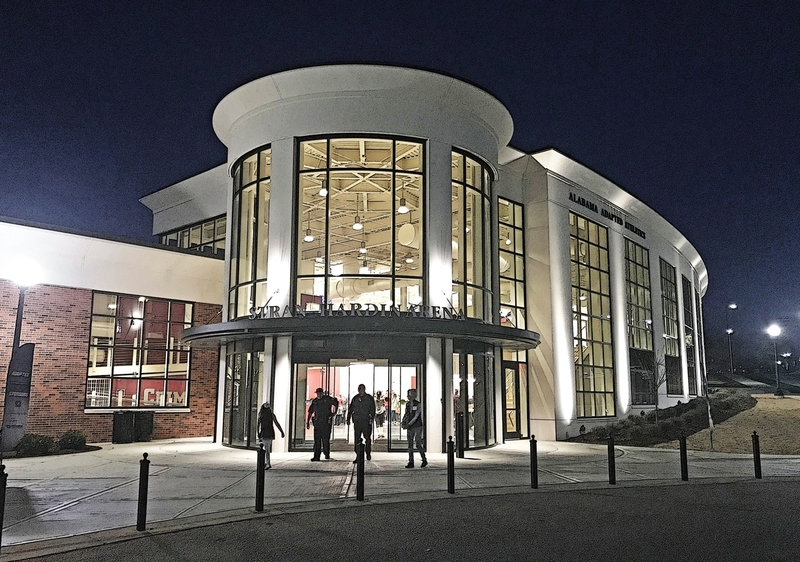 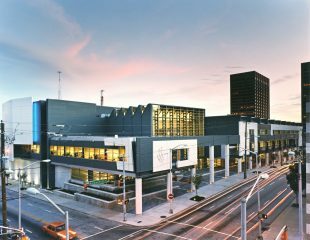 Added to the south façade of the existing Student Recreation Center, the structure creates a distinctive identity for the arena while making use of existing circulation paths, infrastructure, and services. 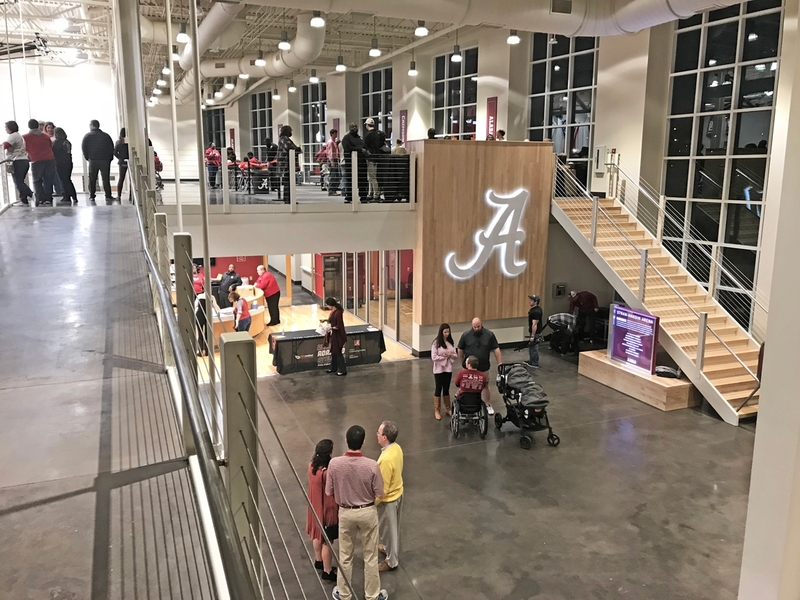 The Stran-Hardin Arena is intended to position the University of Alabama to be the undisputed leader in adapted athletics, offering student-athletes with disabilities a best-in-class facility in which to train and compete.